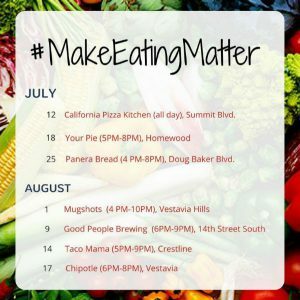 We are so pleased to share that our supporters raised $1,237 during this summer’s #MakeEatingMatter campaign! 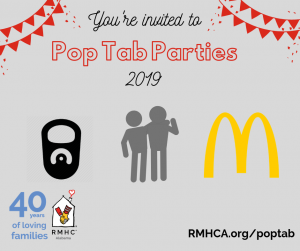 Supporters ate out at restaurants around Birmingham and the restaurants in turn gave back a percentage of sales to Ronald McDonald House Charities of Alabama. We appreciate everyone who dined out to help us keep families together when their child is sick or injured. And thank you so much to our restaurant partners: California Pizza Kitchen, Your Pie, Panera Bread, Mugshots, Good People Brewery, Taco Mama and Chipotle.